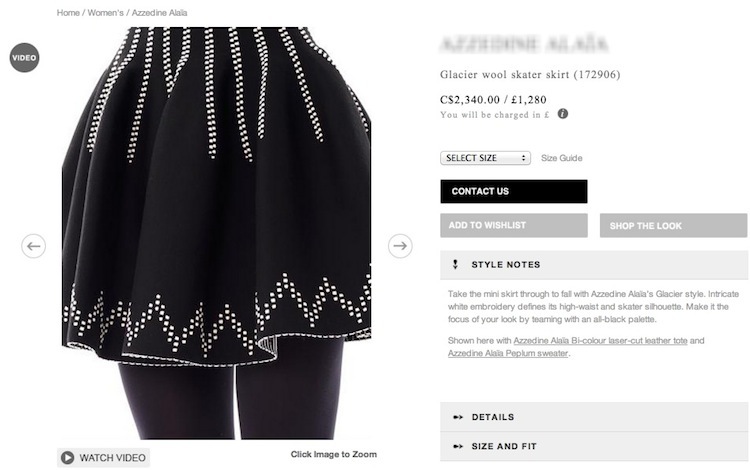 A black wool high waisted skater skirt with a white embroidered waist and hem detail. 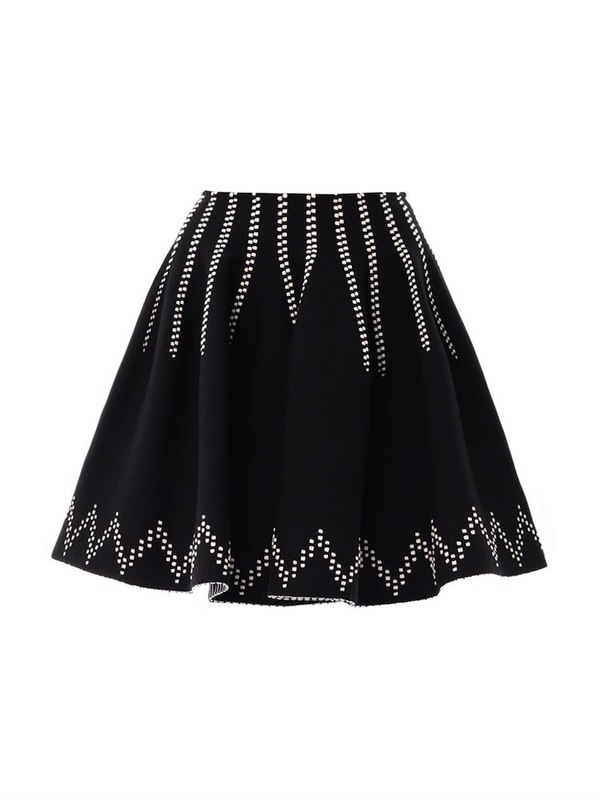 The 45cm long skirt has a centre back concealed zip fastening. 50% wool, 42% nylon, 8% polyester.